The summer is drawing to a close. Enjoy a timeless photo of youth enjoying the waters at Belle Isle. Detroit circa 1903. “Swimming pool, Belle Isle Park, evidently.” No girls allowed. 8×10 inch glass negative, Detroit Publishing Company. 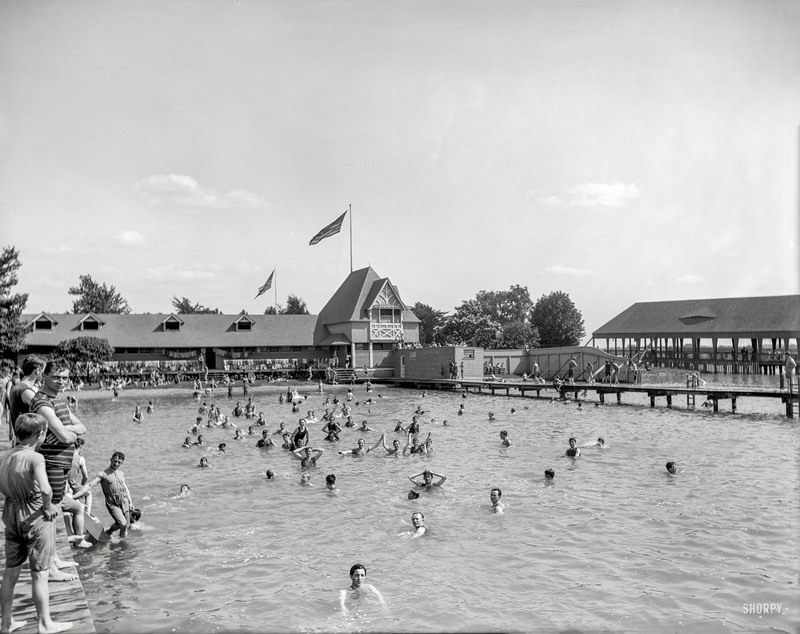 This entry was posted in Detroit, Shorpy Saturday and tagged 1903, belle isle, boardwalk, detroit, detroit publishing company, friendly, fun, island, kids, lake, Michigan, river, shorpy, state park, summer, swimming, trees, water, wood. Bookmark the permalink.